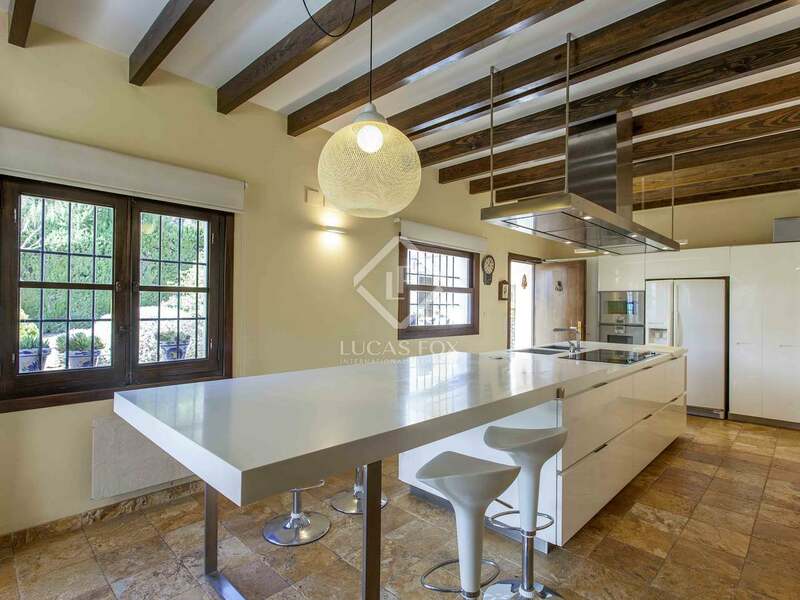 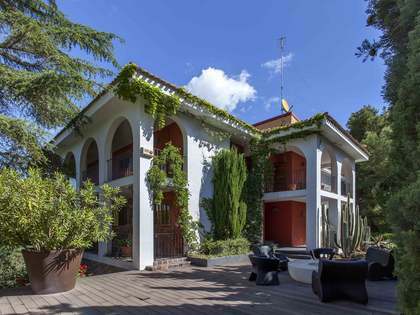 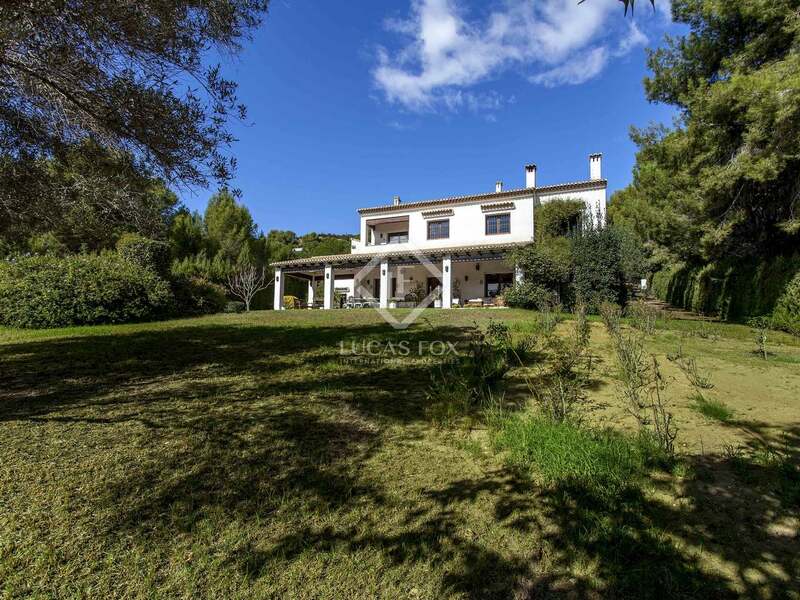 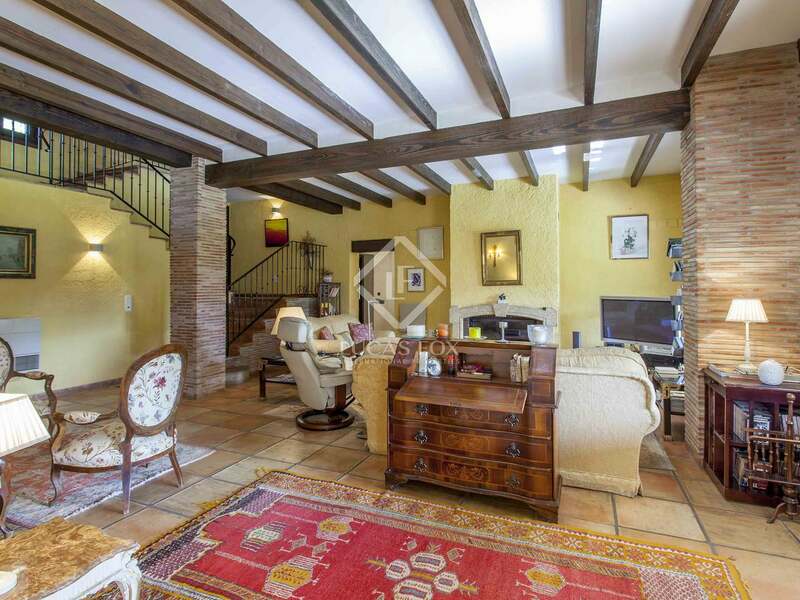 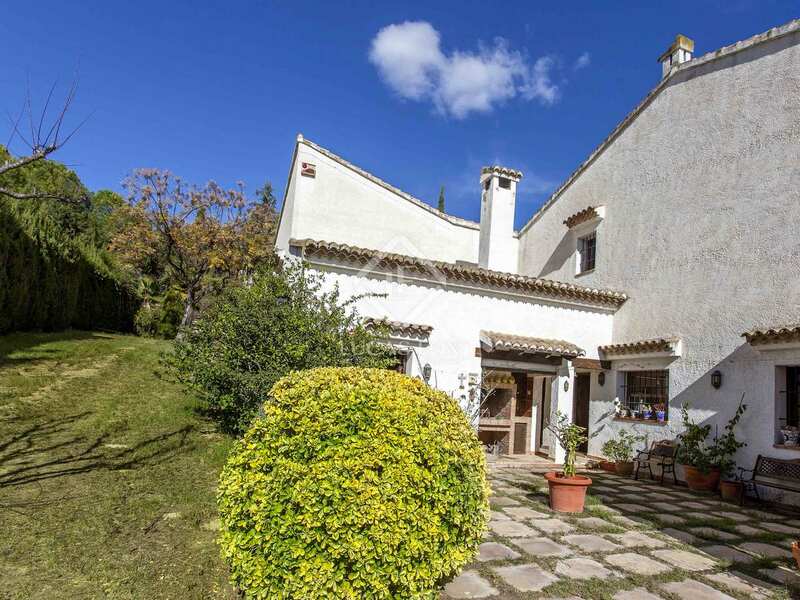 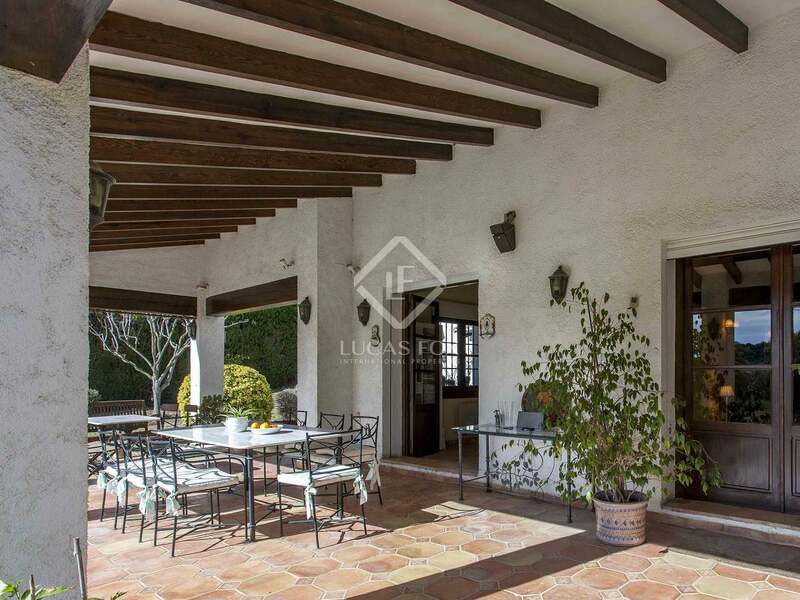 This wonderful traditional, detached house looks out over a golf course and its 2,500m² garden, complete with a swimming pool. 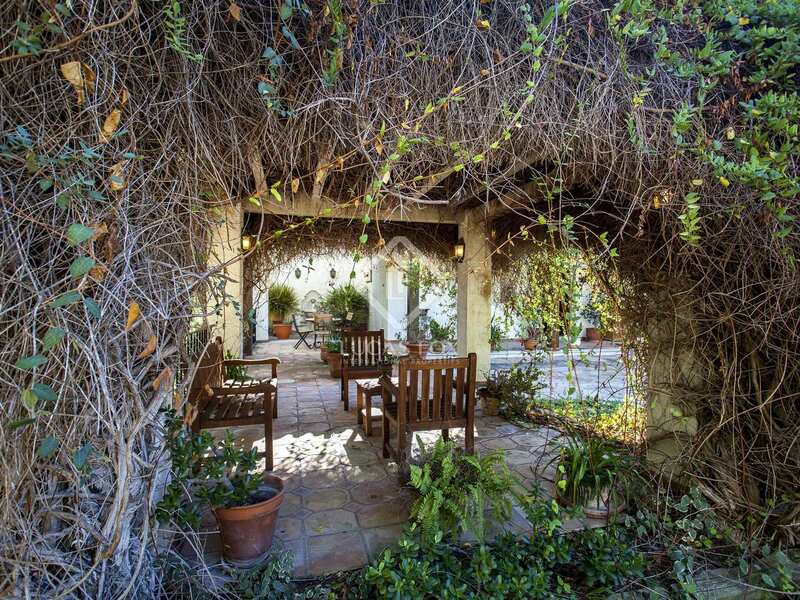 The garden is well maintained and in the summer offers a huge variety of roses and other plants, and has several different areas to relax in. 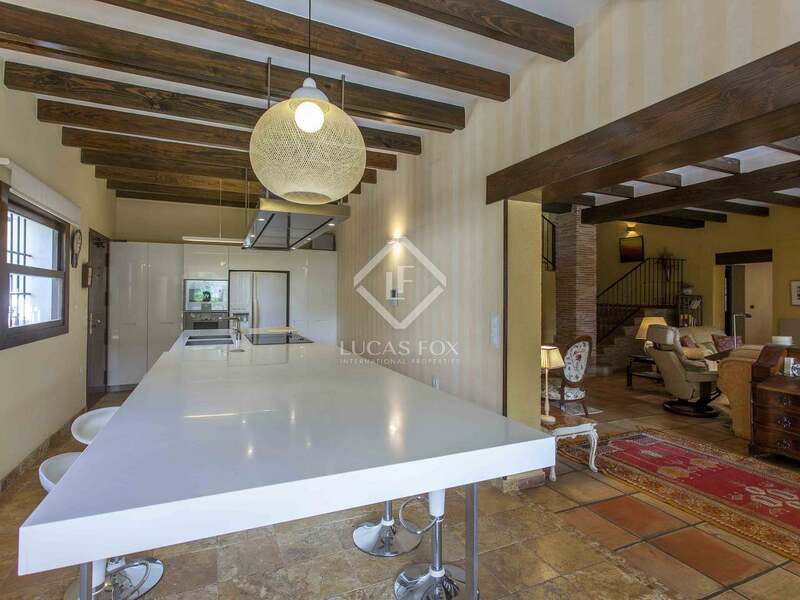 The house itself consists of a living room, with high ceilings and wooden beams, offering beautiful views over the garden. 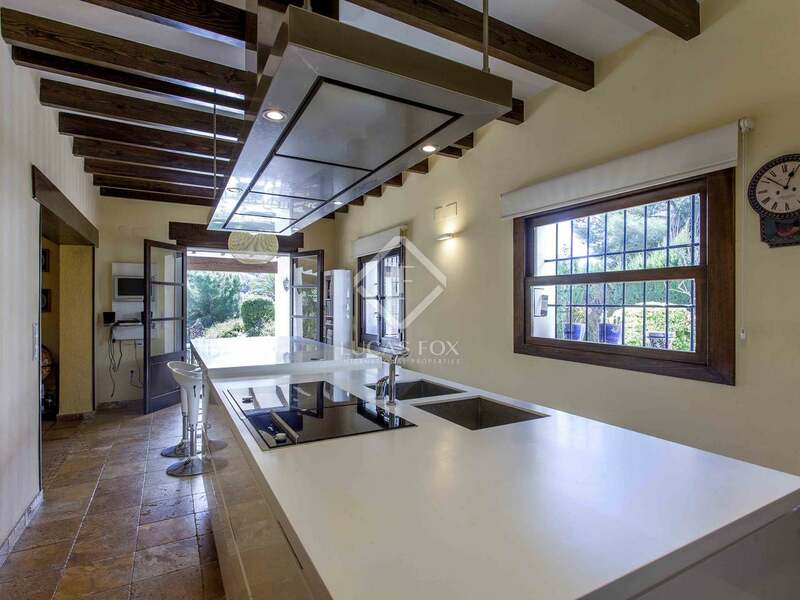 This is connected to the dining room and the recently renovated and equipped kitchen and has access to the terrace. 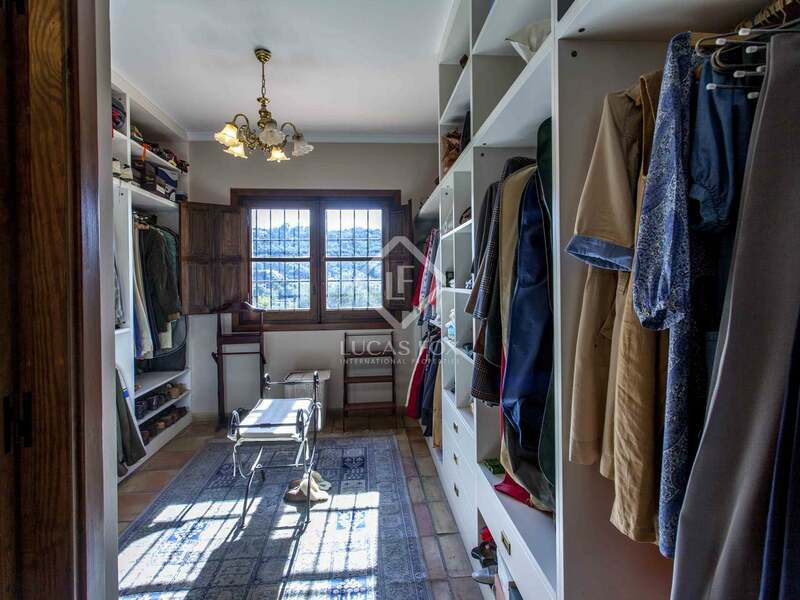 From this area you can reach the office, gym and cellar. 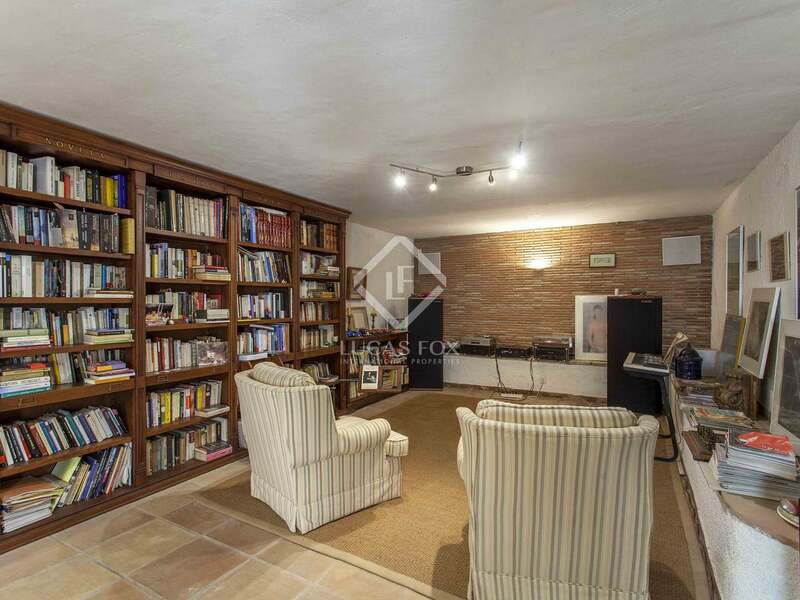 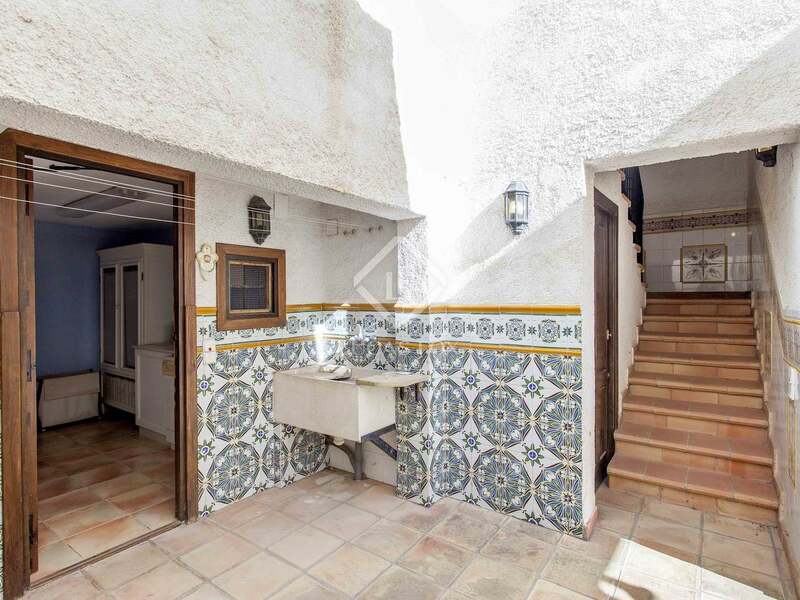 Opposite the gym and cellar, on the other side of a courtyard, is an entertainment room, utility room and 2 rooms that are currently used for storage, however, both have the potential to be turned into further bedrooms if needed. 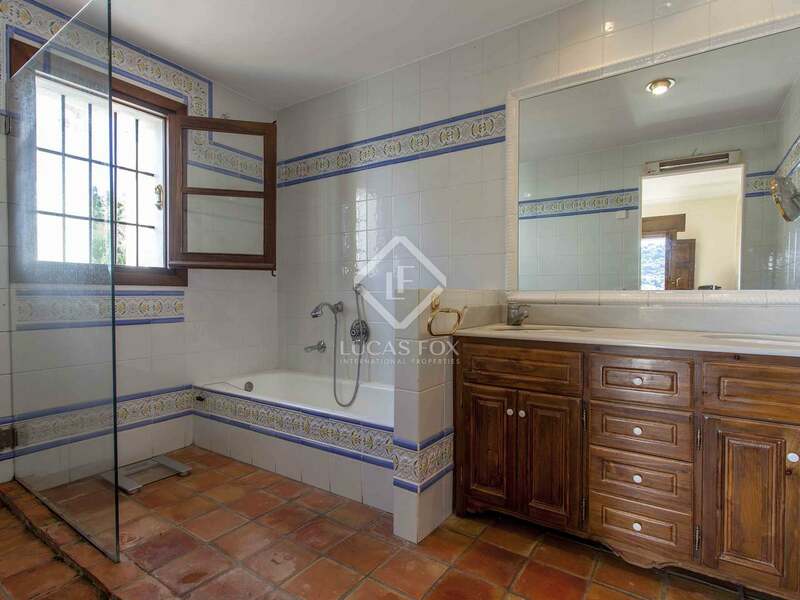 Also next to these rooms is an additional bathroom complete with a sauna and access to the terrace. 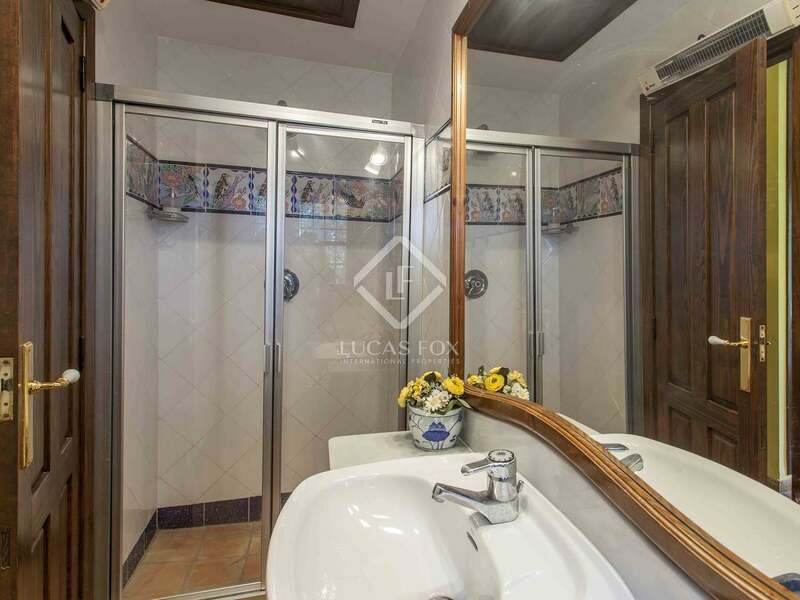 Upstairs, you will find the 3 double bedrooms, each with their own bathroom. 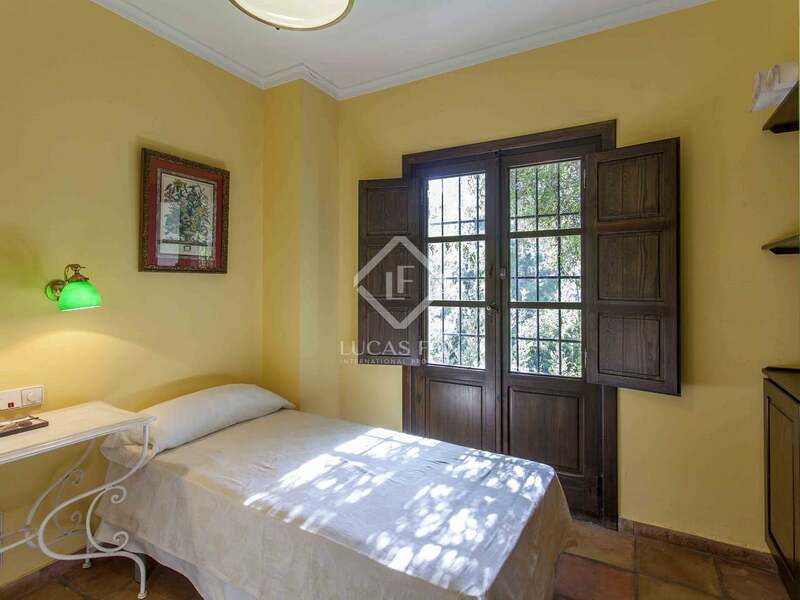 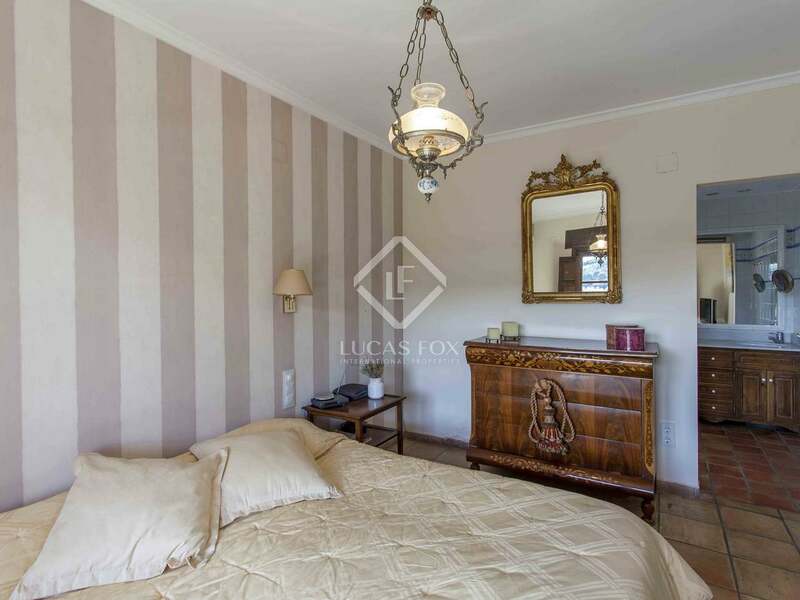 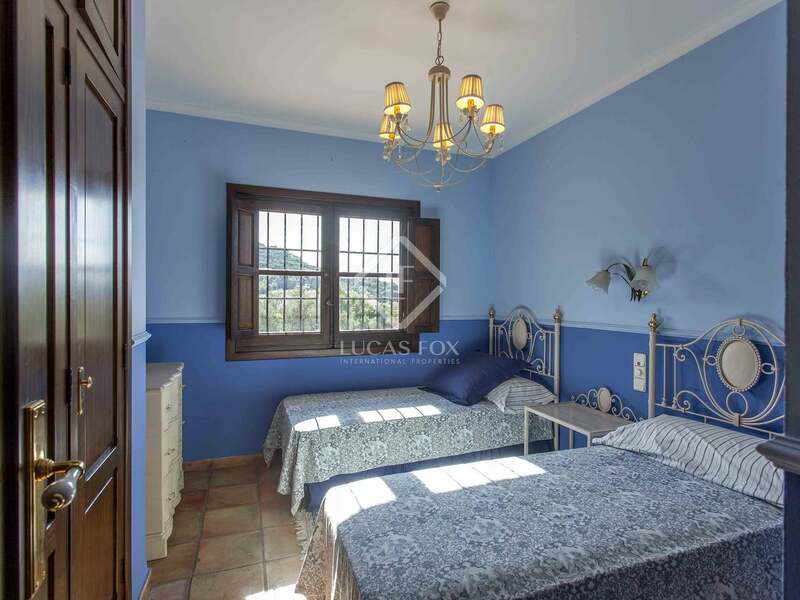 The main bedroom also has a large dressing room and a terrace with views of the garden. 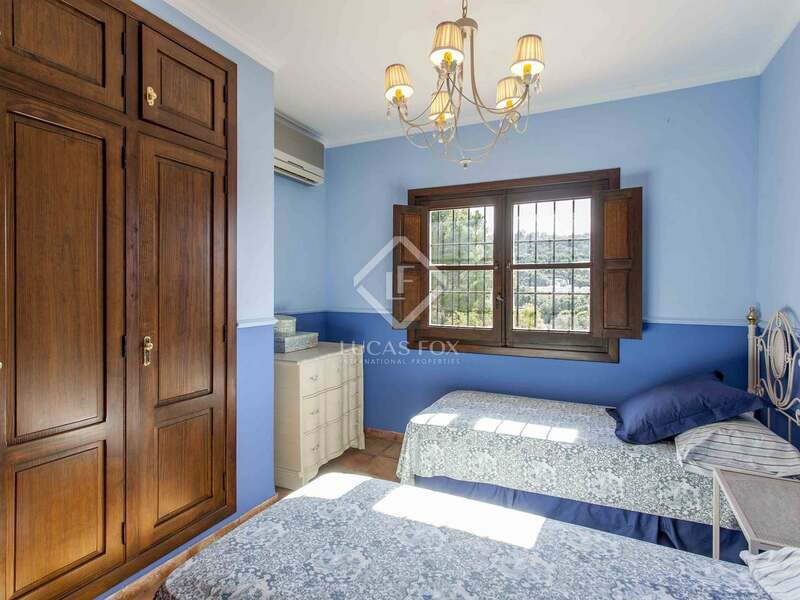 There is room to create a fourth complete bedroom and bathroom here if desired. 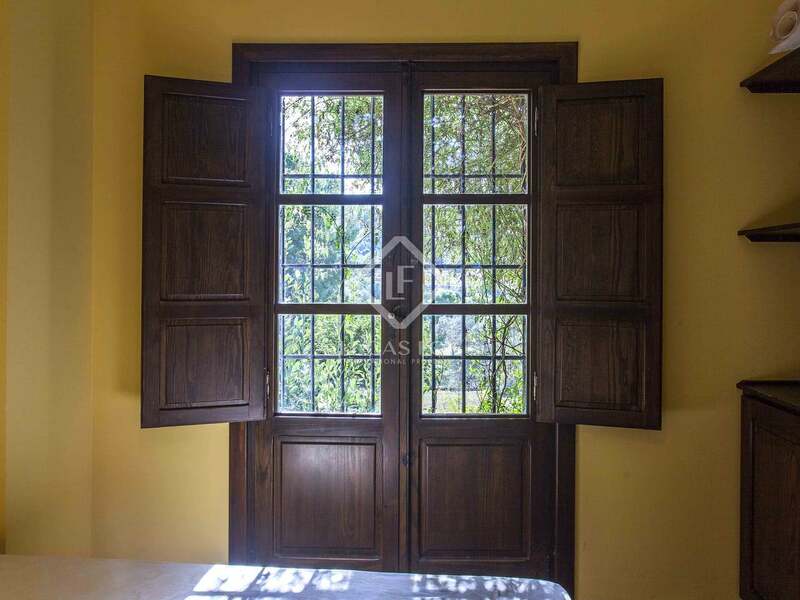 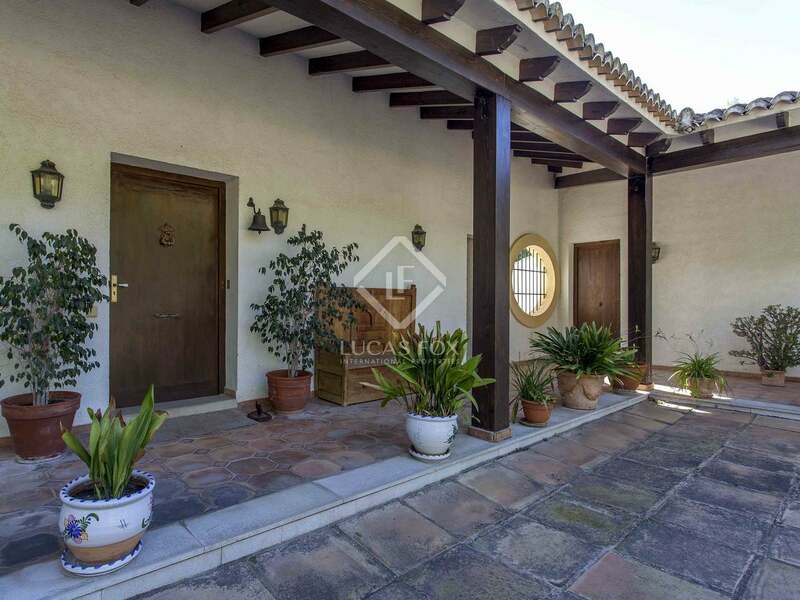 The house would be perfect for families with children and retirees who enjoy being close to nature due to its private and spacious garden with excellent facilities. 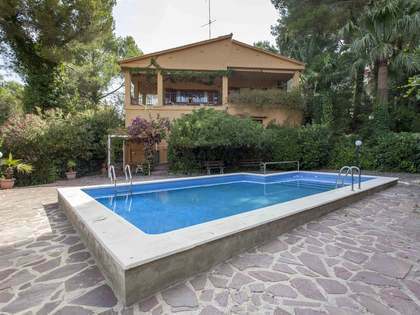 As a result it would also be suitable for holiday rentals or events. 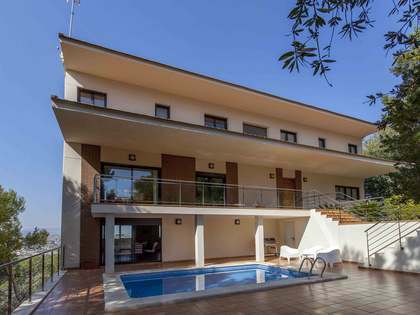 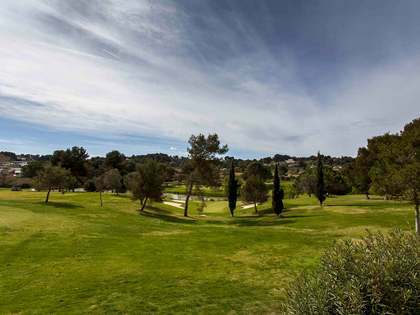 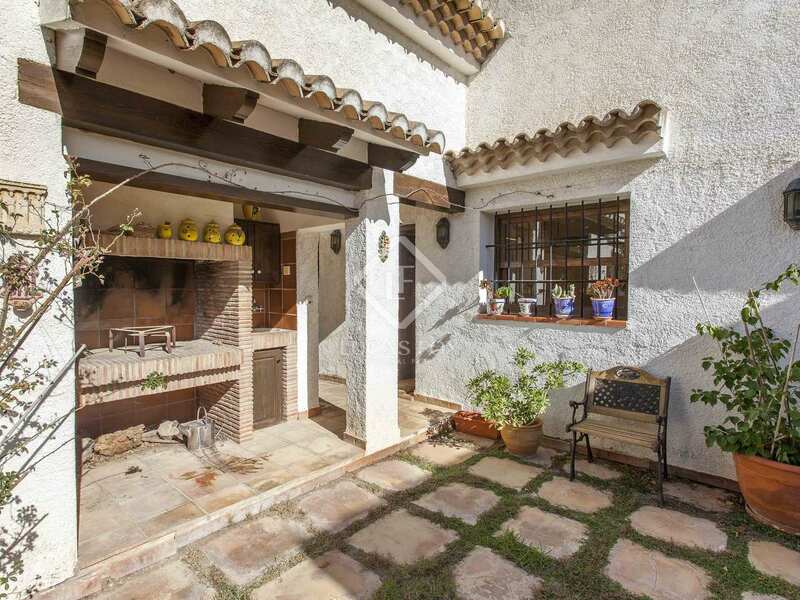 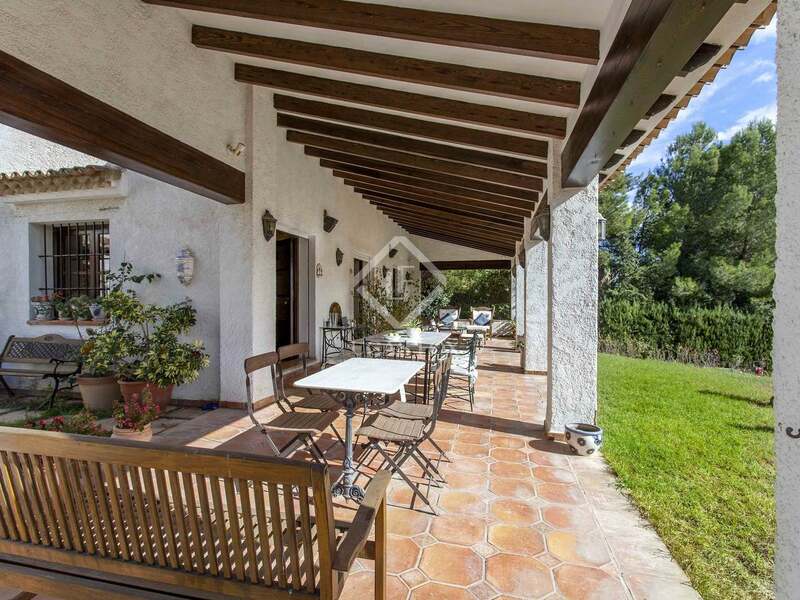 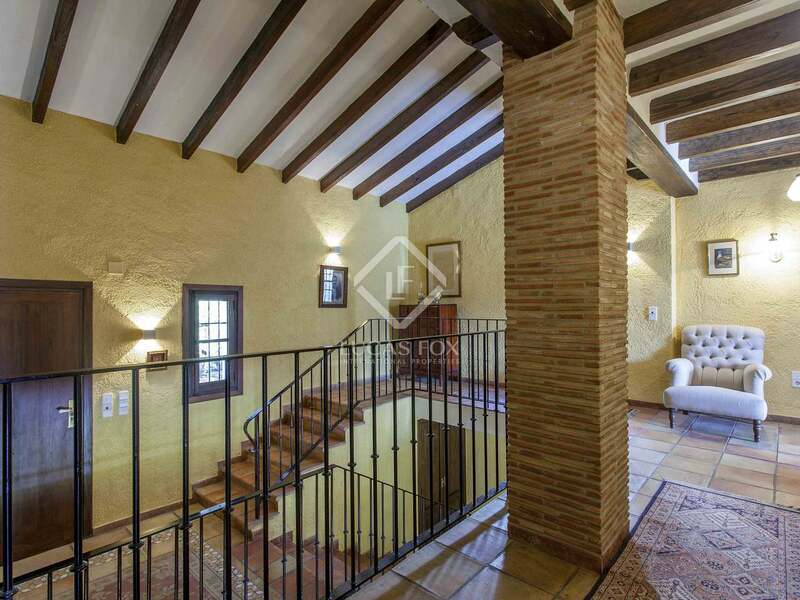 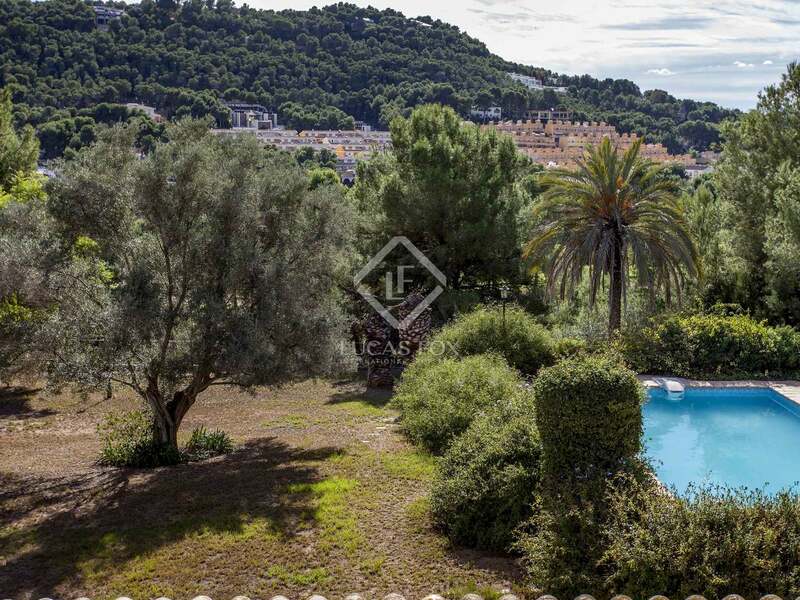 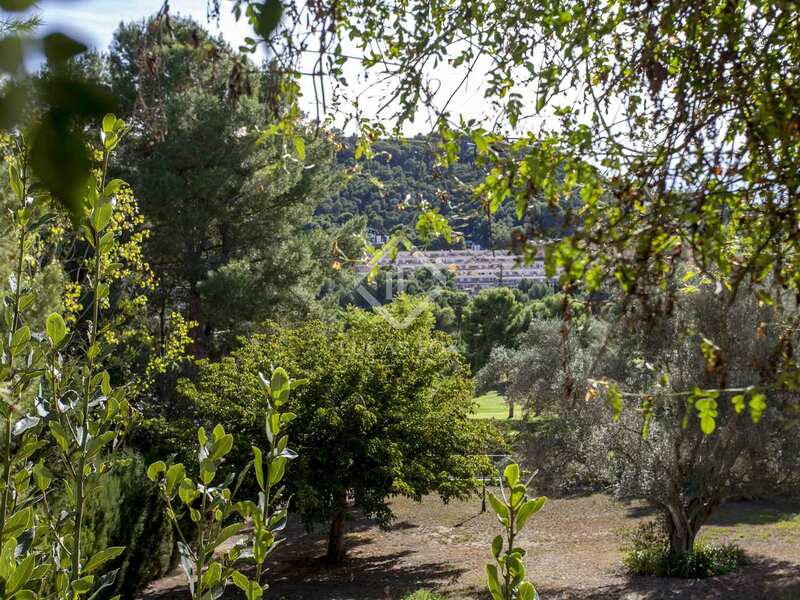 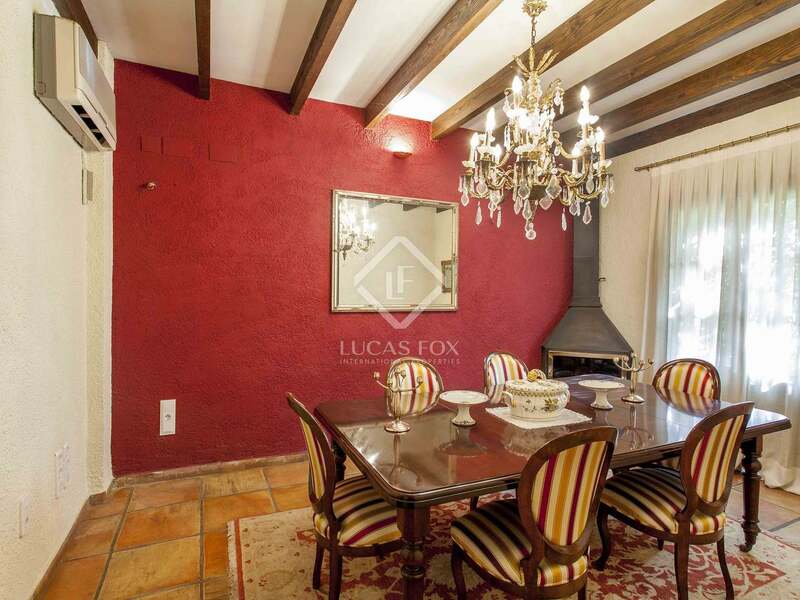 The house can be found in the residential community of El Bosque which has gated security and access to the golf club and all its facilities including restaurants and supermarkets. 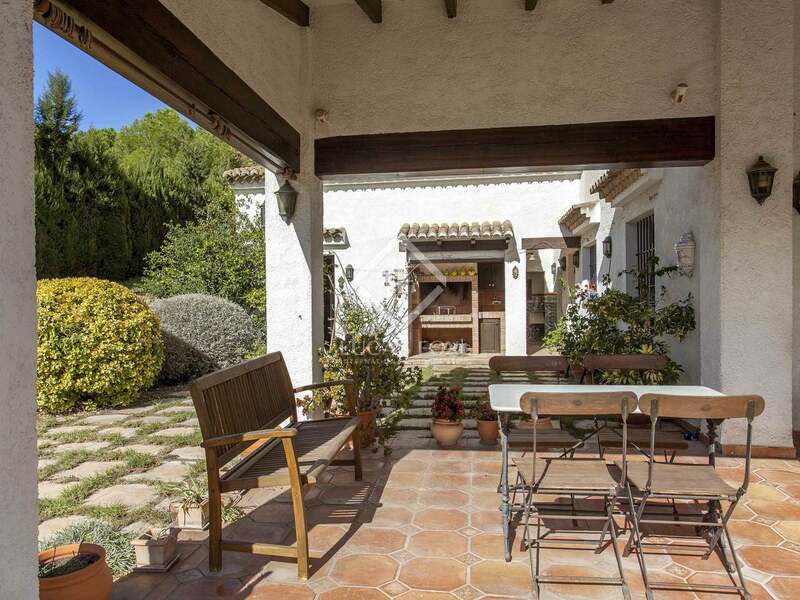 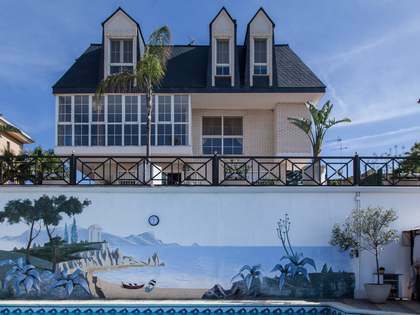 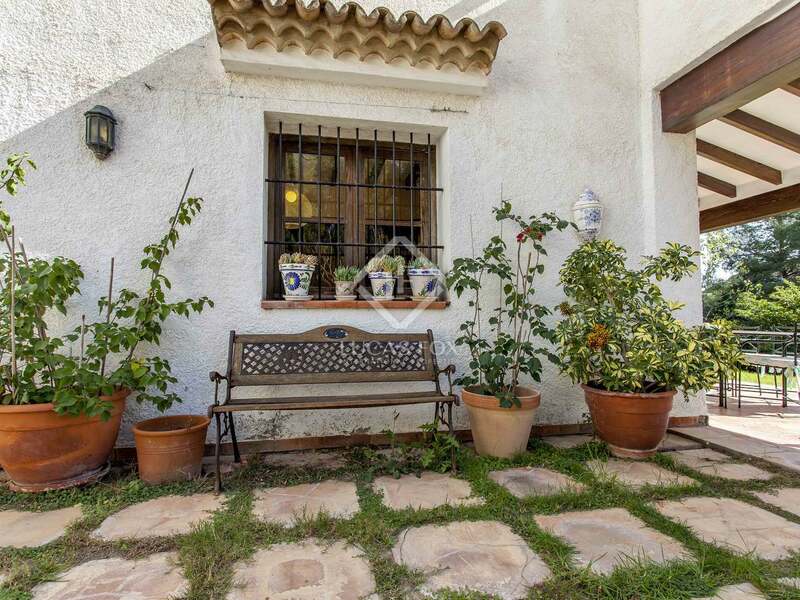 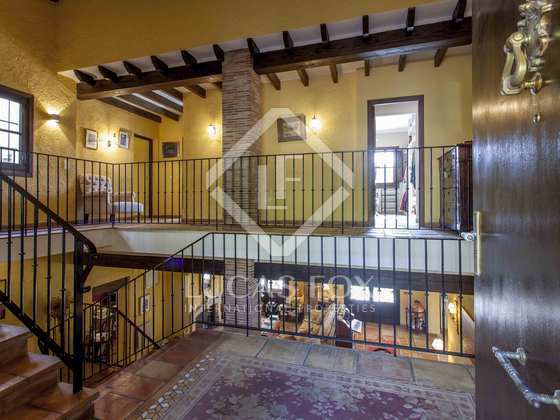 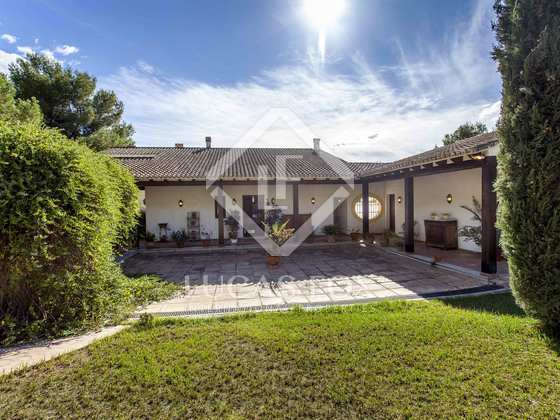 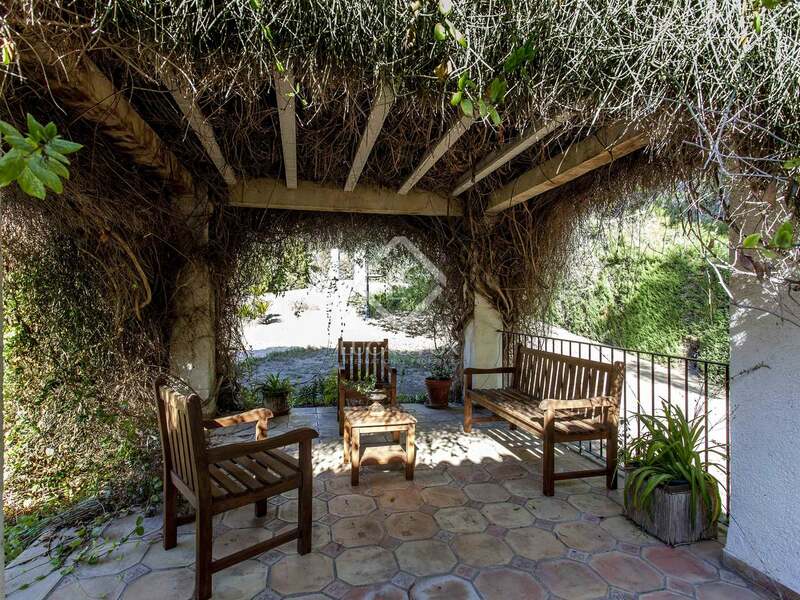 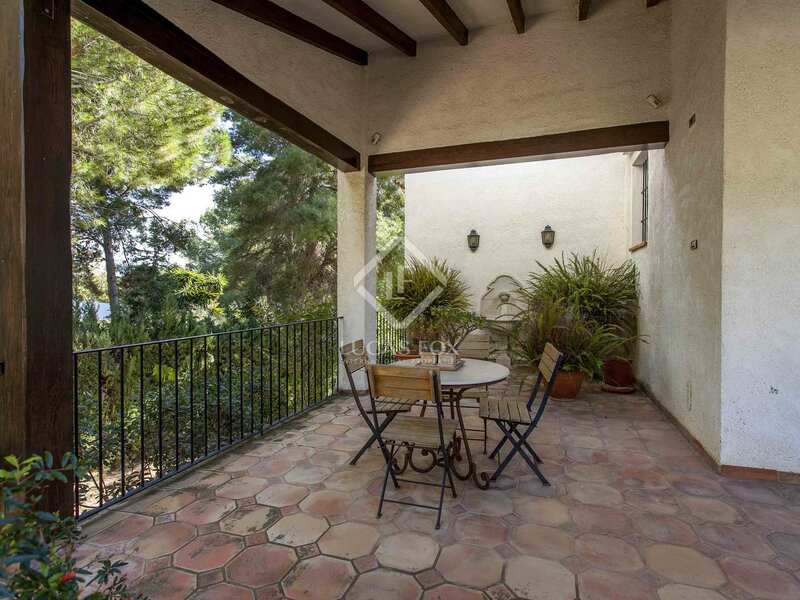 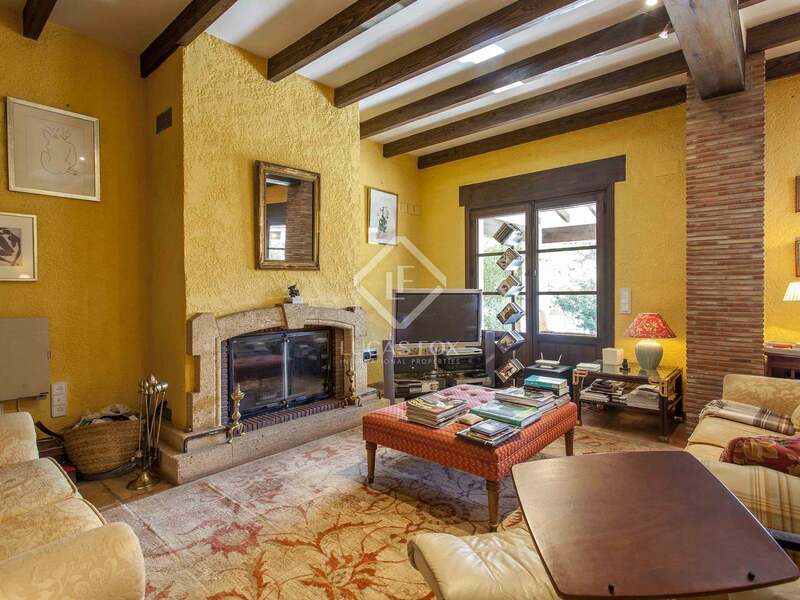 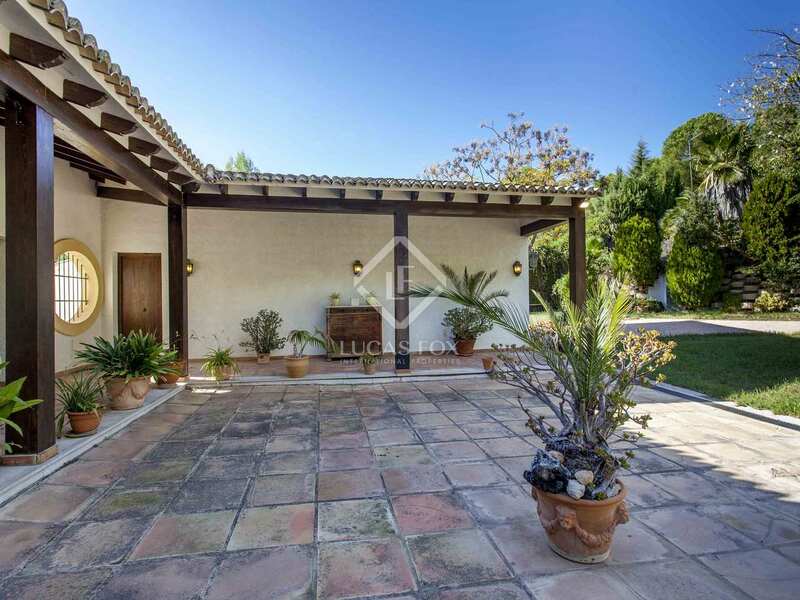 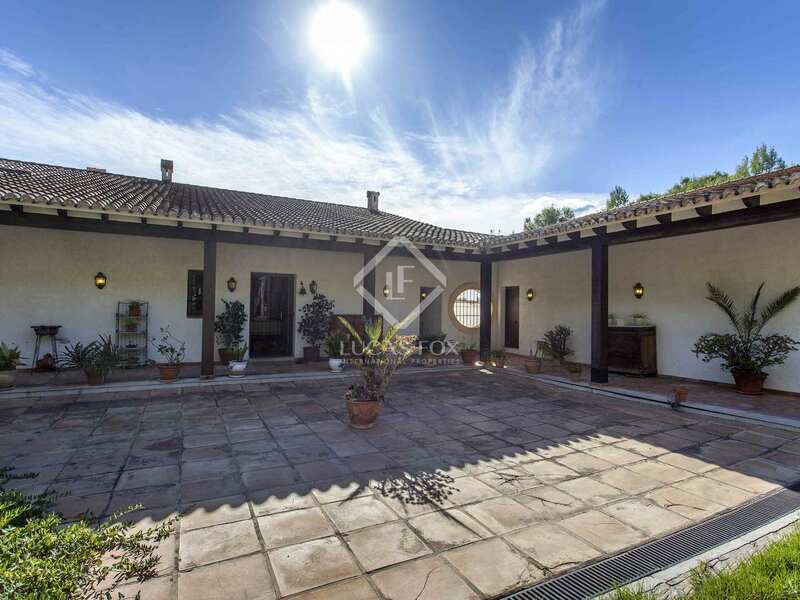 The house is just a 20 minute drive from Valencia and is in close proximity to international schools and Valencia airport.